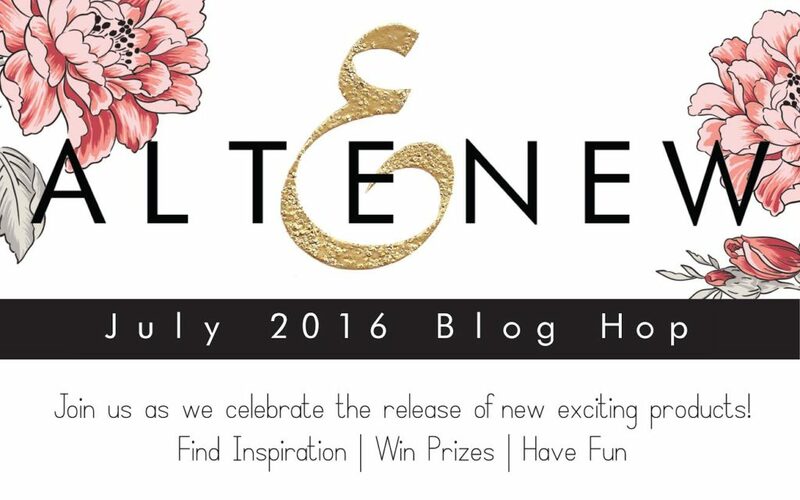 Hello and welcome to Altenew July 2016 release blog hop! You probably came from Flora Monika Farkas. If not – you may consider starting from the beginning at Altenew blog and see what other members of Altenew’s design team have come up with (and also you have a chance to win a prize on each hop node). I made four cards for this release. And I will be starting with the simplest one moving my way down to the most complicated (they’re not complicated I should rather say more time consuming). The first one is made using Coffee Love set. It’s all about coffee. Do you like coffee? I’m an addict! Love its taste, smell, love small cozy cafés when you can get a cup of espresso and spend time reading or chatting with your friend. I love coffee-themed art. Love face and body care products with coffee as an ingredient. I already blabbed a whole lot about my relationship with coffee and haven’t even started talking about the card lol. Which is extremely simple. I grabbed several images and sentiment from the stamps set and stamped them in different colors on a white card base. Then I added some droplets of Dark Chocolate ink diluted with a bit of water. And a heart and arrow wood veneers finished off this card. The next one is probably my favorite from all I made for this release. First of all the Big World set. Can we have a moment and talk about it? How gorgeous this globe is! So realistic, I’m a sucker for realistic cards. As well as the Earth theme is one of my favorite. And this set is so versatile too. You can create the Earth (any hemisphere you want or need) or a globe. Or a map, it you won’t use the bottom layers (the round ones). The card I made with this set is pretty simple, I wanted to go for a simple but graphic look and wanted to do double embossing. Recently I was making swatches for my embossing powders and noticed that some gold ones are different in color (I have 6 gold powders, had to try a lot before found my perfect one). So I decided to create continents in dimensional gold and oceans in black. And that’s what I did here. I used Hero Arts gold power to emboss the continents bottom layer on a white panel and then Tsukineko gold for the top layer. The oceans I stamped using Altenew Jet Black ink. After stamping the Earth I added the sentiment. Stamping some parts in black and gold embossing world word. Next I added a gold glitter ribbon to the bottom part of the panel and adhered it to a black card base. The last two cards are different in design. I made them using Floral Shadow set and the idea is the same for both – tone on tone stamping on the background and a couple of elements on top in different color. For the first card I used wood paper from Altenew. First I cut a panel out of Cherry Wood paper and stamped floral elements and the sentiment using Dark Chocolate ink. Then I stamped a couple of flowers onto Birth Wood paper using Crimson ink and cut them out with my scissors. I adhered them to the panel which I then glued to a Kraft card base. To finish off this card I added several wood dots. I really love these embellishments. They work great with wooden designs. The next one is made similarly. I took a gray card base and stamped florals using Versamark ink. This ink is good for both using with embossing powders and creating look of tone-on-tone stamping, so you don’t need to have ink matching each color of cardstock you have. 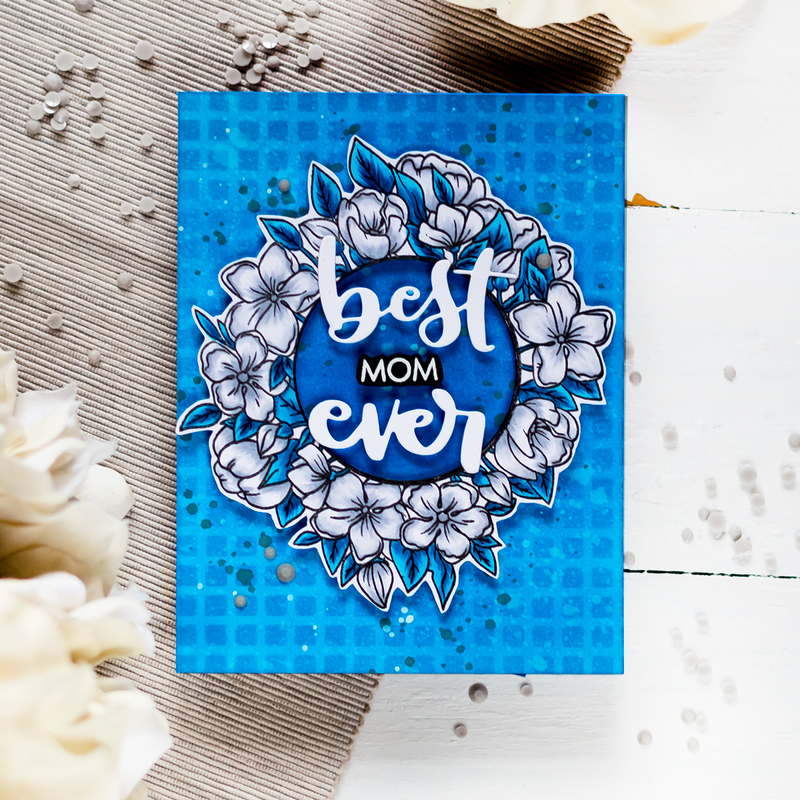 All you need to have is a Versamark ink 🙂 Then I stamped several flowers and sentiment onto white cardstock with Cotton Candy ink, cut them out and and adhered to the card base. Some elements are adhered flat, some – using adhesive foam squares. To finish off the card I added several sequins adhering them using Ranger Mini Multi Medium Glue. To celebrate this release, Altenew will draw three winners who will each receive a $50 gift certificate to their online store. Please leave a comment on the Altenew blog by Friday, August 5 23:59pm EST for a chance to win. The winners will be announced on Saturday, August 6. I will also randomly choose a winner from comments left on this post and the prize will be $30 gift certificate to Altenew online store. Please leave a comment on this post by Friday, August 5 23:59pm EST for a chance to win. I will announce the winner here in this post on Saturday, August 6. The winner of $30 Gift Certificate is Alison Henderson. Congratulations! 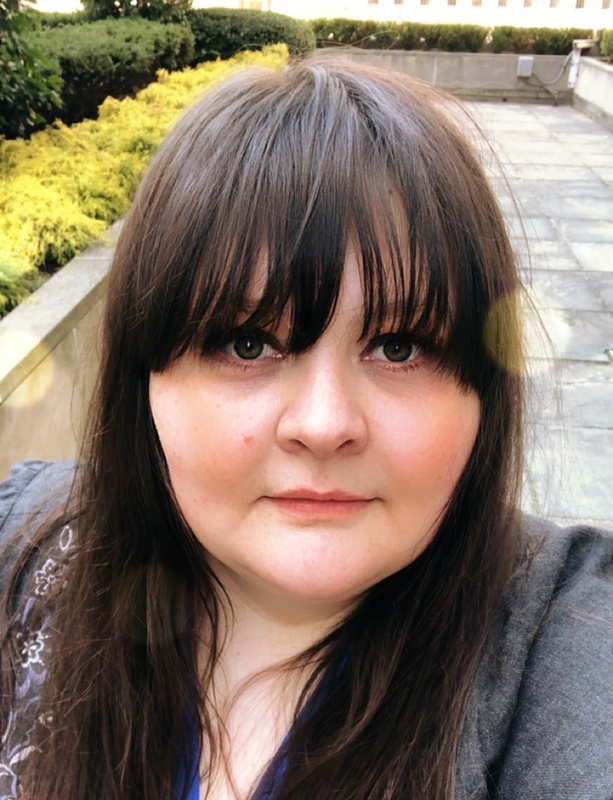 The next stop in the blog hop will be Evelyn Yusuf. If you got lost, please go back to Altenew Blog. I especially love the pink and grey thank you card, just stunning. Wow very lovely creation.love the coffe card the most you color choices and arrangement is perfect.thanks for your generosity. Love the red flowers on natural background….so striking. Stunning cards! I love love the ones using the Floral Shadow stamp set! Using the the wood paper…awesome! Oh my, what great cards. 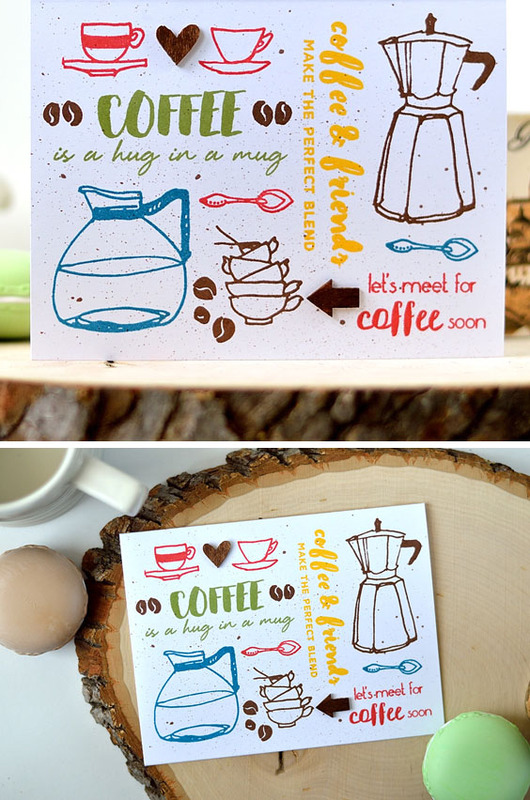 I like the cheerful coffee card and the ones with wood paper are just lovely. The world card with double embossing is simply stunning. What a fantastic idea and you really made it come to life. Great job. Love what you did with the gold globe, wow!!! All the cards are wonderful! All gorgeous cards! I can’t choose a favorite! You have a real creative talent!! 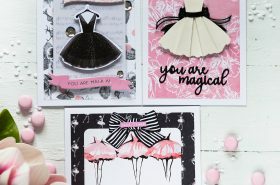 Your cards are beautiful and I especially love the pink and gray floral!! Thanks for sharing. Awesome cards! I love the wood texture. These cards are so gorgeous I can’t pick a favorite. I love the coffee card and the world one. The floral ones are stunning. I am not a coffee drinker but love coffee cards! Yours is no exception,. Chocolate and red is a combo I must try ! Gorgeous cards! The coffee one is my favourite. Your cards are AMAZING. I love, love, love your coffee one and the embossed world is just stunning! Your cards are always so beautiful. I love the chocolate and crimson one. Fantastic cards Svitlana. Love the embossed globe… yes, very graphic… the collage coffee card is so much fun! 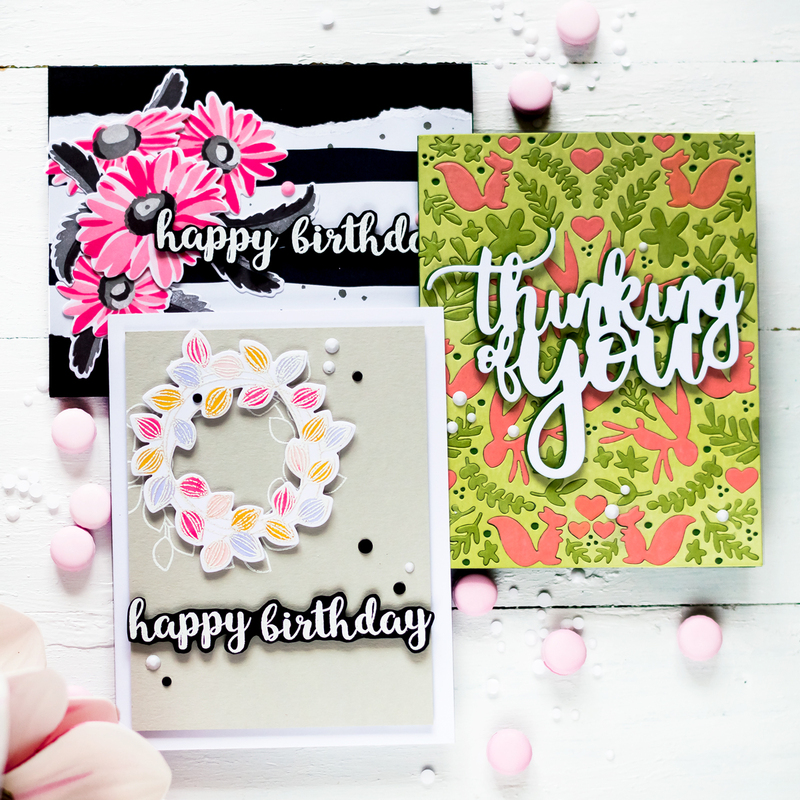 Love the different colors… the wood paper flower card looks lovely! Gorgeous cards! I especially love the globe card–its stunningly beautiful! Must get the globe set! Your work is all so gorgeous. You really nailed the globe one, as it is gorgeous with all the gold. All gorgeous, but I adore the red/brown/wood paper of your hello card! Yes. Hello gorgeous! Wow! All of these cards are, as usual, fabulous. The leafy ones are beautifully constructed…the wood really adds so much texture. But have to say my fave is your coffee card…what a lovely tribute to the cherished bean. Incidently, unsweetened espresso is my fave, too…maybe with a curl of lemon rind. All are beautiful especially love the wooden card! I love your work and creativity. TFS! These are all so great! I think my favorite is the pink and gray. Oh, I just love all your projects! Definitely need the coffee set and you’ve used it brilliantly! That bold Earth with the double gold embossing and the black seas is just to die for – so creative and so powerful! Looks like you picked a couple of stamps that are going to be my new favs. Love anything to do with coffee! You are very creative, love the wood card and it’s colors. Very well done, I love the woodgrain one, so very different, I love the whole new release by Altenew! Thanks so much for sharing your creative talent! These cards are fabulous! Love the unique look. 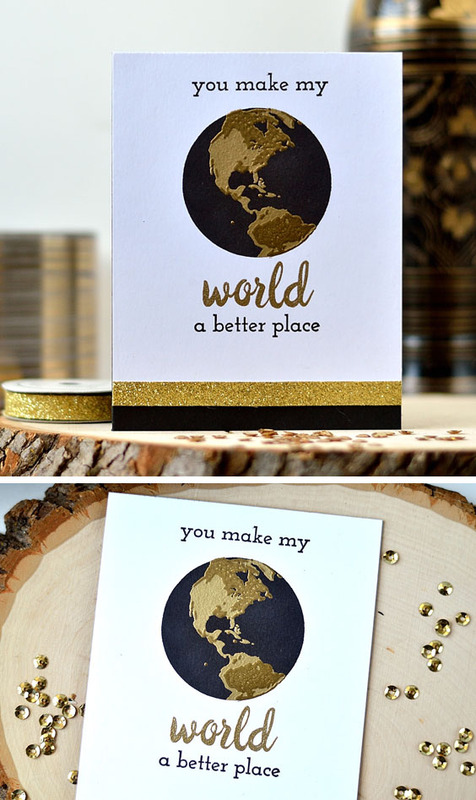 Love the birch wood paper card, and the gold world! Awesome cards, I like the how you used the wood grain paper to create one of your cards and the dramatic affect using gold for the world created. The coffee card is beyond cute and I love the striking globe card. Thank you for the giveaway opportunity! I love the organic feel of the woodgrain paper….bravo! The coffee card is awesome, the wood care is beautiful!!! Simply gorgeous creations. The world map is top of my wishlist! Really love the coffee card! Nothing fancy…just stamping yet it is one of my favorite cards of the hop so far and I am almost hopped out. The wooden design is so awesome!!! Love the wood card so cool! Great designs with this new release. Your world card is stunning and your coffee layout is great! I love these cards and stamps. My favourite is the gray one. 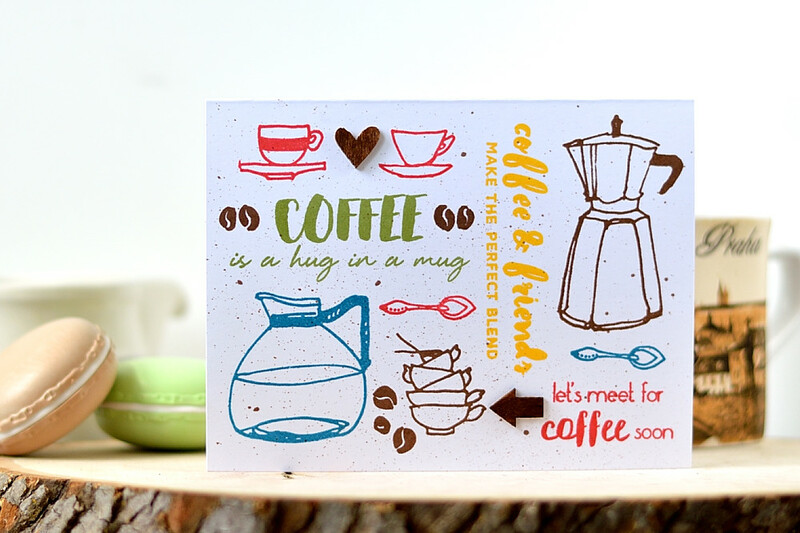 Love the colorful coffee pot card! I love your designs with these gorgeous stamp sets. Thank you for the chance to win. Your card stamped on the Birch Wood paper paper is STUNNING!!! Your cards are STUNNING!!! Love the wood one!! I really enjoy how you used so many coffee stamps on one card. The globe is stunning. Absolutely wonderful cards! Thanks for sharing! Absolutely gorgeous! Love every one!! That coffee card speaks to me (going for another cup after this comment, lol) It feels/looks retro. I love the design. I love the coffee stamps and your colorful card with them! The coffee pot is my favorite! Wow!! Love the card on the cherry wood paper!! I love how the “world” turned out. What stunning colors! Usually floral cards are my favorite, but I totally love your coffee card! That graphic style is so cool! Beautiful beautiful cards, Svitlana. I think you convinced me to get the globe set! Very pretty cards,thank you for the inspiration! Your florals are fabulous! Your coffee collage is just yummy! And I adore your golden globe card–quite elegant! Your cards are all so different and yet all so beautiful. I especially love the stunning black and gold globe card. Beautiful cards. Love this new release. LOVE the Earth card and your embossing is magical!! I love how you raised the continents on it! Your Hello card is absolutely breath taking! I simply love the Cherry Wood Paper and definitely need to get my hands on some of it!! TFS! Your two flowers creations are gorgeous. The wood paper gives a very special look at the first one and the grey tone of the second is so elegant… really great. I am in love with the coffee theme card. What a wonderful idea to use all those smaller stamps. Definitely an inspiration! Thank you! What beautiful cards. 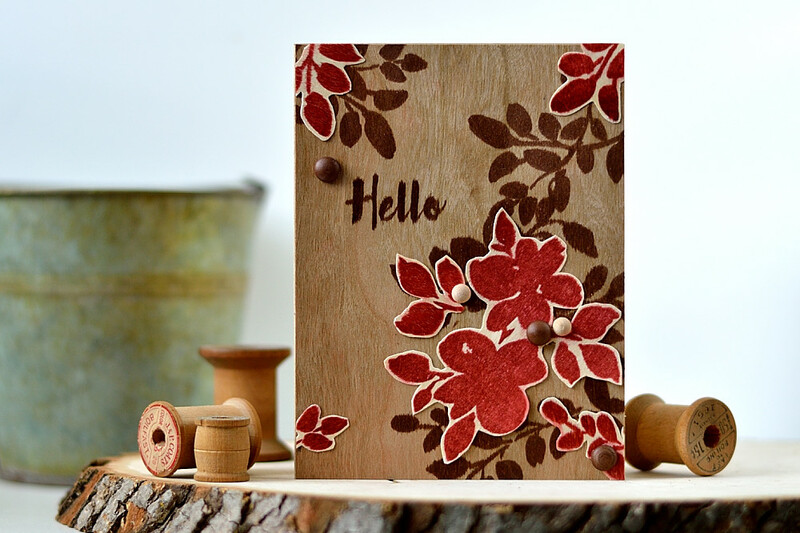 I liked your use of embossing on the globe card and the wood paper background for the flowers. Thanks for sharing you ideas. 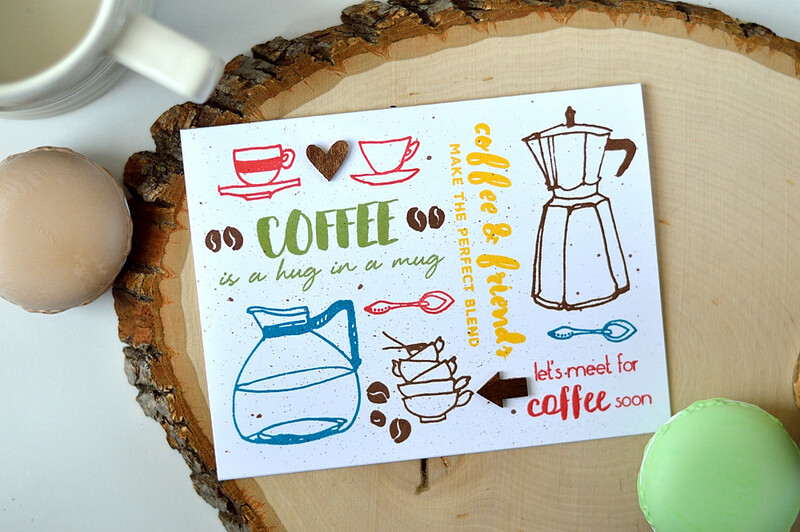 ALL of these are so fabulous, what a great idea to create a multicoloured panel with the coffee stamp set! Love both your beautiful cards. What can I say…..love all of them!! Fabulous designs!! Very very nice! Have to hop and then shop!! Thank you for sharing your talent! Great samples. I love your “world” card. Beautiful cards especially the “you make my world a better place” one. Great job with the embossing. Such great ideas!! Love the world card and the embossing. I love the color combo you did for the globe set. Really stunning! Also, the birch wood was a very interesting use of materials. 3 great cards, but the gold on gold on black card is extra stunning. Floral Shadows and Big World cards are awesome. All lovely cards, love the colours you put together! My favorites are the floral shadow cards. Your wooden card is stunning. I really love all of your cards! I think it was a brilliant idea to use the different embossing powders to show the continents and it looks fantastic!!! I also think your crimson and cherry wood card is just stunning. Love your cards favorite is the coffee card. Thank you for such fabulous inspiration! Four beautiful cards. Your work is amazing…love your use of colors! Wow! I’m blown away you your cards…the color combinations are stunning and absolutely gorgeous!! Love love love! I’m in love with the coffee set. Oh what amazing cards! LOVE your coffee one! Great showcasing this new release! Great card ideas. Really love the thank you card. four beautiful cards – I am not sure which one I like the most. you have certainly given us a lot of inspiration with them. Love these cards, especialy the different gold ep’s and the pretty birchwood card!!!!!!! Love all the cards, but the ones with the floral shadow stamps are my favorite. Really, really nice work. Thanks for sharing your ideas! Fantastic cards! 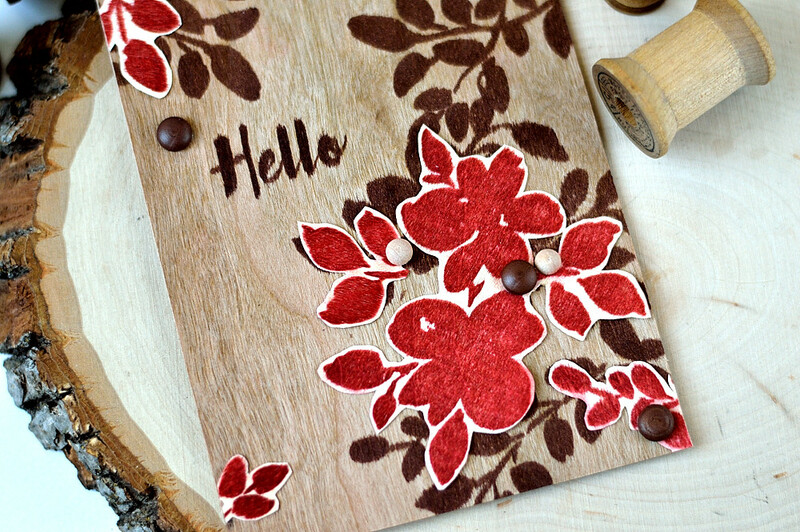 I love the red floral on the birch wood paper! Svitlana, your cards are amazing, especially the one on the birch wood. 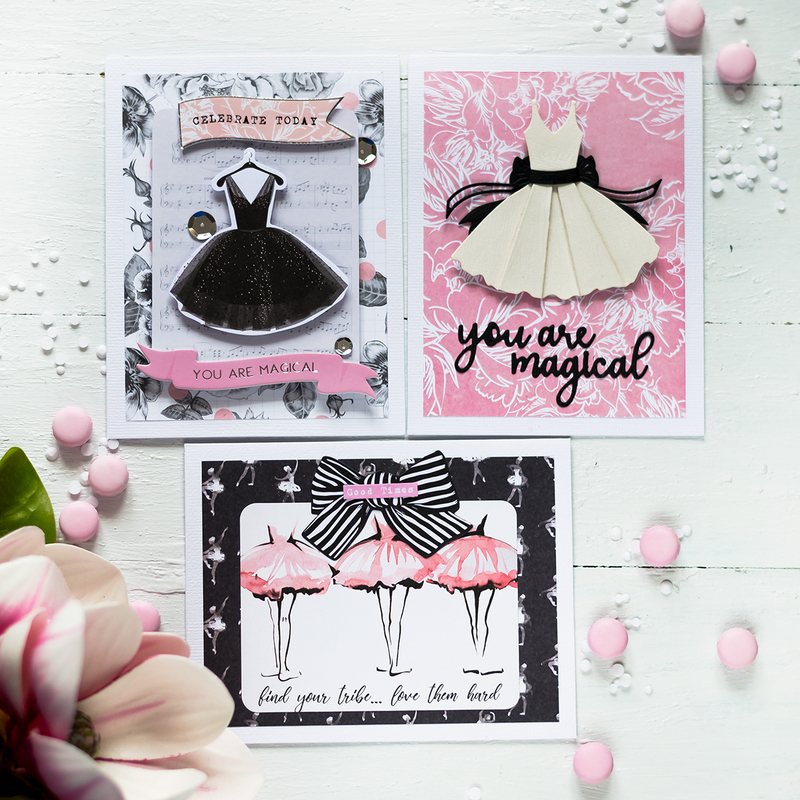 Just fabulous cards! TFS! You have used these new stamp sets perfectly! Beautiful designs, I love every single one of them, thanks for the wonderful inspiration!!! Your cards are absolutely stunning!! Gorgeous cards. The “world” card is amazing. It was brilliant to use 2 different gold embossing powders. And your coffee card is brilliant too! Love them all. Thanks for sharing! What a great collection of cards! I especially love the floral with the wood background. Just stunning! Oh, these coffee sets are adorable and some of my favorite in the new release. I have so many family and friends who are big coffee drinkers. These sets are a “must have” for me. Thanks for sharing your creativity. Beautiful cards!! Brilliant! Your globe card is brilliant, just love it. Thanks so much for the great idea!! Such a versatile release. Love your cards and especially the wood card nuce wo r k.
Beautiful cards! I love how you stamps the leaf image with dark brown ink on the wood card stock! Love the floral shadow sets, looks particularly good on the wood veneer paper. Amazing! I really like the double embossing on the globe and that stamping on the wood looks fantastic! Such lovely cards. The way you have used Big World (a must have for me) is wonderful, I love the Floral Shadow set card and will have to try and copy the style. Love the first graphic coffee card with the use of all the images and sentiments in different orientations. Each of these cards are wonderful. I love that wood grain card! I’m not a coffee fan but I have some friends who would appreciate those cute stamps! These are each so lovely! Absolutely gorgeous! What talent with this fantastic release! This is the first thing I’ve seen with birch wood paper. I really like it. These are fantastic! I love the two tone gold of the globe, looks amazing and LOVE the stamping of those shadows on the wood veneer! Love the simplicity and energy of the coffee card! Thank you! Lovely work on these yummy cards! Great cards. I love the wood background and the coffee theme. Looove the cards!! Especially the floral ones! Beautiful cards! The birch wood and gold embossed ones are absolutely gorgeous! 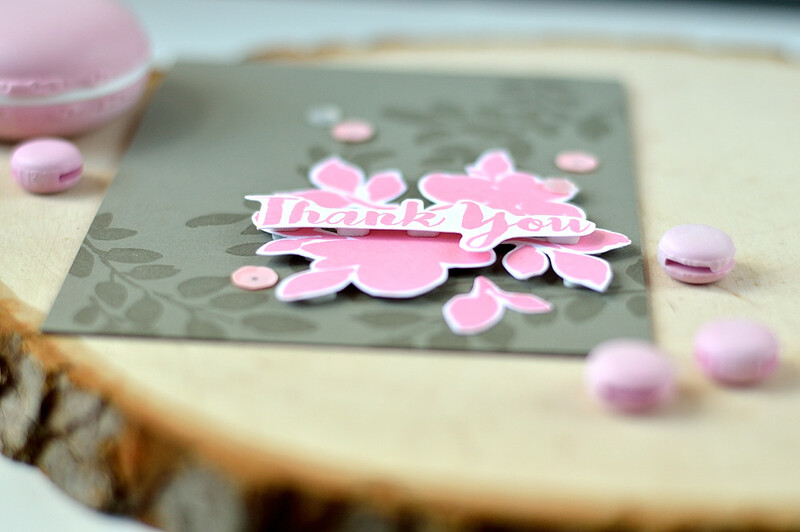 Thank You for sharing your very creative talent with new sets and being part of an awesome release blog hop! That “World” card is stunning! These are lovely. The wood look card turned out cool looking. Every card you’ve made is unique! Love them all! Stunning! Thanks for sharing your creativity! Wonderful cards! My favorite is the woodgrain. Well done. I pinned. Absolutely super cards! I’m especially intrigued by the wooden paper one! I must find out more about this product! Really amazing results. Wonderful mix of projects! The wood card really caught my eye! Hi Svetlana, love your creations, past and present, and certain not to be disappointed in the future too! Of the newest release, my favorite is the birchwood!! Love the colors! The wood background card is beautiful. I love the combination of color and background. I love your designs! You really showcased Altenew’s new release so beautifully!Thanks for the inspiration! I LOVED your second card! So classy and eye-catching! I’m loving all these cards I’ve been seeing lately that play up wood-looking backgrounds/accents with a huge pop of color! I love the double embossing, so clever! – thanks for the inspiration! I think I will have to try that double embossing, it looks terrific! Gorgeous cards! I love what you did with Floral Shadow and especially Big World! Love the two-tone gold embossing. Gorgeous cards! Love the stamping in the wood paper and also the double gold embossing is such a clever idea. I really liked the card you did using the Big World set. I understand what you mean when you mentioned that there are so many colors of gold! It also took me a long time to find the right one. the birch card is so neat! Gorgeous cards!!!!! Thank you for the inspiration. What a beautiful assortment of cards! It’s hard to pick just one, but the birch wood looks amazing! Your cards are gorgeous. Another great release from Altenew! Thanks for all the great ideas. Love this new release. Nice cards. I always enjoy your projects. Beautiful cards. I love the shadow floral on the wood paper, so beautiful. Each of these cards has something I like, I can’t pick a favorite! These sets are GREAT! Thanks for sharing and for the chance to win! I LOVE the Big World one the most. 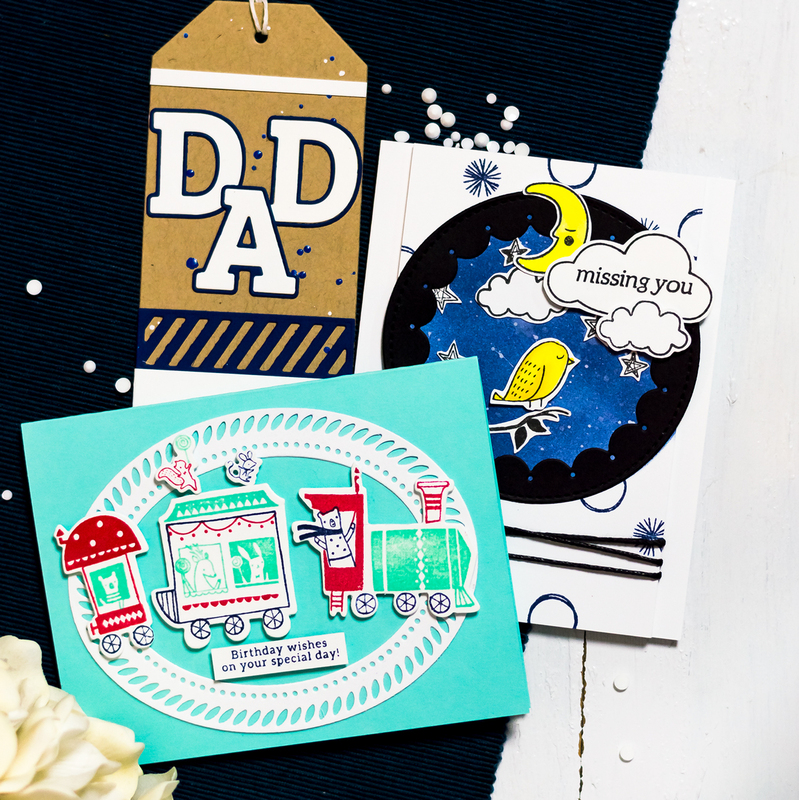 Beautiful cards, love the new stamps and all of your designs. Very very nice work really enjoying them! Thanks for sharing! The wood paper is fantastic! Altenew has so much to offer! Beautiful cardscenery and thanks for the embossing powder technique! I love learning new things! I look forward to seeing more of your projects! that wood card is so striking! You have made so many cards and great colour combinations, Cheers Anna. Svitlana, your cards are beautiful, I wish I was as talented as you and the other girls are. Beautiful! I especially like that wood grain card, just beautiful! Thanks. Great cards! Love the world card and stamp set. Gives us something different for a guy card and I am always looking for those. TFS! 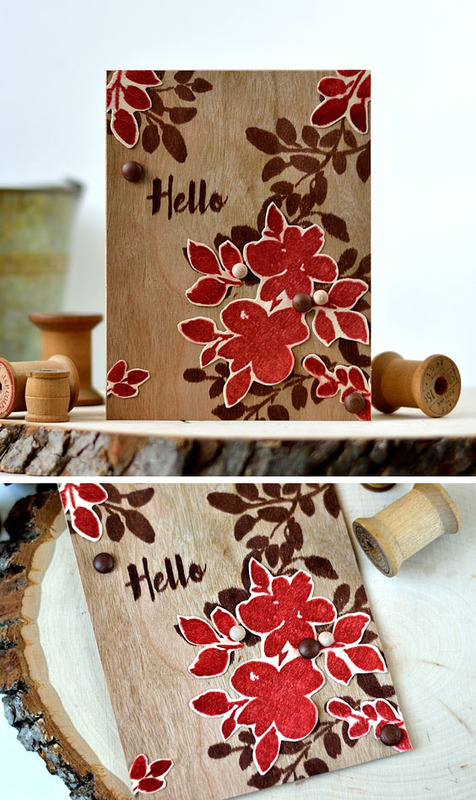 Such clever ideas, especially stamping on the wood paper. Its looks amazing!!! Wow! All of your cards are so special! I think the coffee one is my favorite. I love how you used so many of the different stamps to create your card. The layout is perfect. Gorgeous cards! Love all the colours! ? Love all of your cards! Especially coffee card. It is so pretty!!! Lovely selection, so simple and modern. TFS your beautiful cards. The Coffee Love card is my favorite with its cheery colors and homey feel. 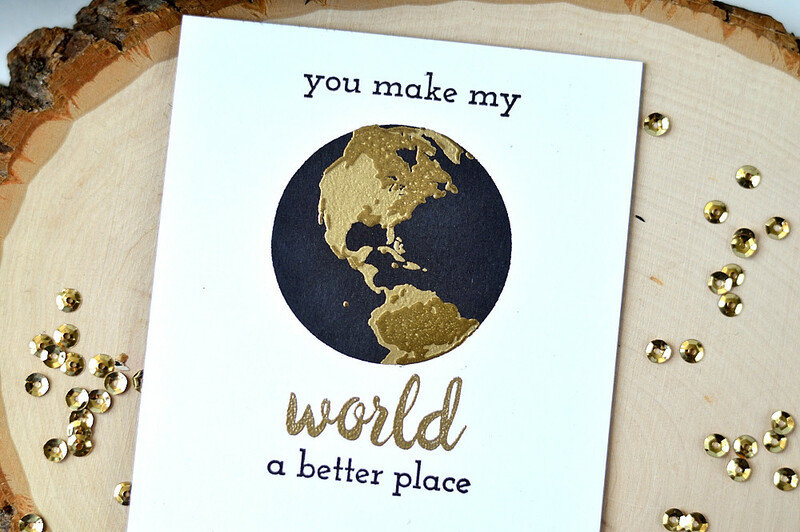 But I do love the two-tone gold embossing on your globe, and the stamping on the wood papers is fabulous. So, overall….. they are all favorites. Thanks for sharing so many great ideas and inspiration! I really like your cards. Stamping on the wood paper looks great. What lovely cards!! The one stamped on wood is my fav!! Love that wood paper! Good job on those. These are gorgeous. Love the birch wood paper and Crimson and the world. Oh my goodness,your cards are awesome! Love your coffee card! Gorgeous cards! Thanks for sharing these ideas. The globe set is my favorite too! You globe card looks masculine to me so I pinned it to my masculine cards on Pinterest! Love all of your unique and beautiful cards! Thanks for the inspiration and chance to win. Great cards especially the globe acrd! these cards are so well done! i’d buy them in a heartbeat. Beautiful cards!! Love the color choices! Beautiful cards! I especially like the ‘cherry wood paper’ card… very unique. 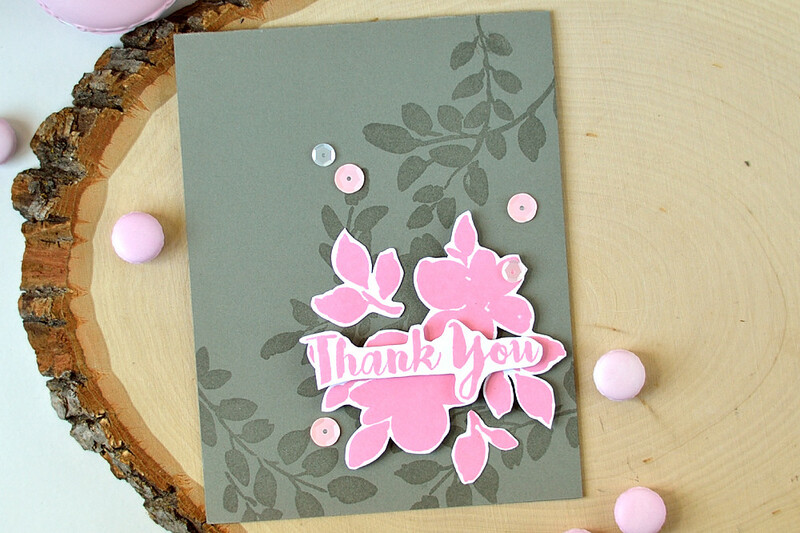 I also love the pink and grey card you created with the Shadow stamp set…very pretty! Thanks for a chance to win the giveaway! I love the coffee card! Great cards! all of them. I love the colors and layouts you have chosen to showcase the new stamp sets. 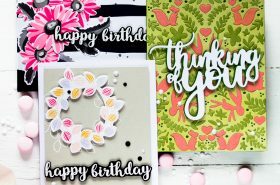 Beautiful cards – wow! Thanks so much for sharing! Gorgeous cards! My favorites are the “world card” and the one with the wood paper. Your cards are always fabulous! Love the double embossing on the world card and the wood paper you’ve used for the 3rd card! Gorgeous cards. I love that gold world (can’t believe you have 6 different powders). I think the floral shadow set is my favourite from this release. I have to agree a lot of American coffee is awful. I went through severe withdrawal when I was there. Your world card is beautiful. Each card is a dream. Beautiful cards! Love the coffee one and the layout so fun and the embossing of the world is great and adds such a fun dimension. Great job! I adore that coffee card!! And using wood for cards is rather elegant. i LOVE THE COFFEE CARD THE BEST. All your cards are beautiful. Somehow I missed the Coffee Stamp set!! I love that one too!! And you’re cards are truly amazing!! I love what you did with the gold powders! Love that coffee card, and that wood….amazing! Gorgeous cards! Thanks for sharing them! Lovely cards all. I really like the coffee card – what a perfect arrangement of all the elements. Wonderful cards. I agree that the Big World set is awesome. It’s different but has so many uses and great sayings. I also really love how you popped up the brighter colored fussy cut images over the darker stamped images. Love your cards! That embossed globe is stunning! Every time I see another card or scrapbook page made with the Big World stamp set, I fall more in love with it!! It’s beautiful and I love your globe of black and gold. Thank you! Great projects! These new sets are so pretty – thanks for sharing! Your cards are amazing, Svitlana. I’m with you. I love the globe card. Thanks for the info on double embossing. Very unique and different projects! 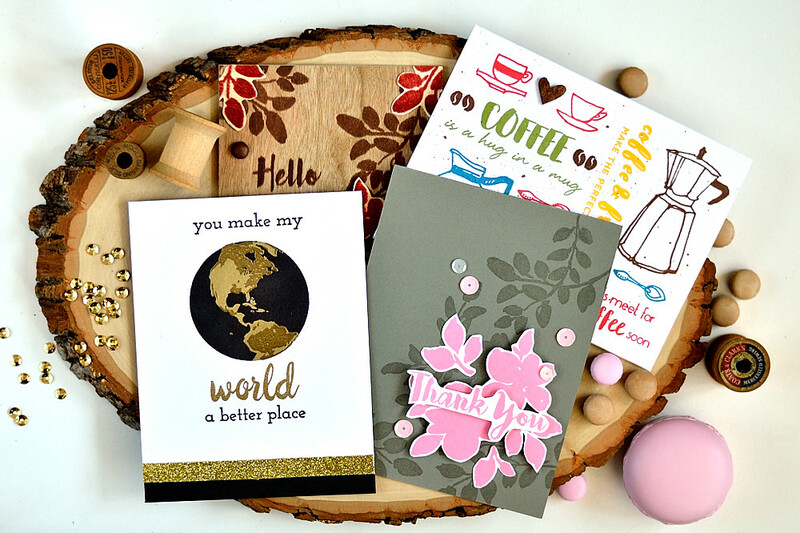 Wow, love all 4 beautiful cards – the double gold embossing, the wood paper and tone-on-tone looks! Wonderful cards! So creative! Love the use of birchwood paper! You’ve inspired me to create with different materials! Thanks for sharing. Delightful cards! Love how you used the paper! 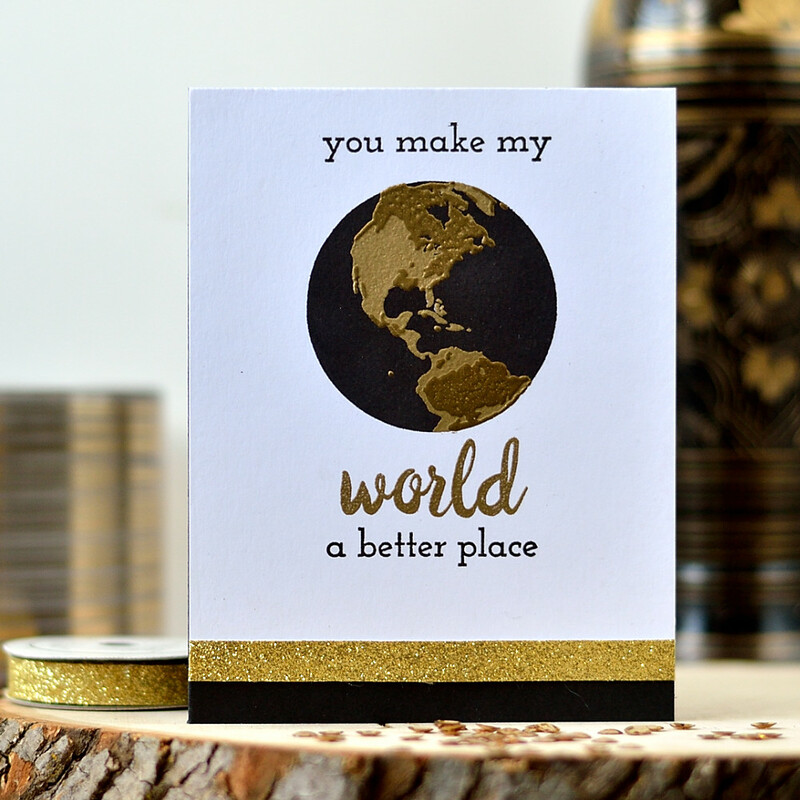 Super projects – especially love the globe and the wood paper design ! I go aww seeing these… Each n every card is a stunner ????? You’ve been busy. The wood card, wow. I love the coffee card, the colors are great. The world card with the gold, love it. Thanks. I love your cards, exspecially the wood card! Amazing!! I’m going to comment on the last cards first. I love tone on tone. I am also really going for grays lately. The world card very nice a great idea using the embossing powder. It makes a nice relief . The coffee card has great placement and colors. Thanks for sharing. Oh I love the wood paper for the one card! ALL of your cards INSPIRE and DELIGHT!!! I ADORE your GORGEOUS 3rd card, the design is BEAUTIFUL, the Dark Chocolate & Crimson look AMAZING against the Cherry Wood – WOW!!! So many great designs! I have some wood veneer paper that I’ve got to try stamping on now. 🙂 TFS and inspiring! Wonderful, wonderful, marvelous, incredible cards!!! Each one is a work of ART!!! Love this new release and I enjoyed seeing all your projects!! The Big World card is my favorite. It’s gorgeous. Fantastic cards! I will have to try stamping on wood paper now!